Design is a very competitive field. My peers are my harshest critics. Many don’t easily (or free of charge) offer much in terms of advice or insight. Considering how tech savvy graphic design is as a field, you would think more designers would be open in their blogs/websites. I set out on this blog wanting to do something different. I use Photoshop and the Adobe creative suite on a near daily basis. It would be too easy to simply talk to the core audience with technical jargon, but my audience is intended to be larger. While, I won’t quit my day job, I do enjoy stand-up comedy and quotes and ideas from that realm seep into this blog. I have a passion of design, but I also realize that it is okay to laugh and poke fun of yourself. As I’ve said several times, it humanizes my job. I am writing a blog. That word grew out of weblog. In grammar school, we had to keep personal accounts for our science fair project. We called it a log. A lot of the students had difficulty accounting for their trials and tribulations. Our teacher was looking for something personal about our successes and/or failures. To me, it was being honest. It seemed so easy to me, it was fun. Writing a blog is the same. Again, this is common among my peers in the field. Who really has esoteric knowledge in design or in life? I am still looking to meet these people. Before I enrolled in graduate school, I felt the need to learn more. I went on some Amazon shopping sprees and purchased a number of design sources. I am looking to further develop my knowledge and my voice on this platform. I have the books and know some good resources. This blog provides the opportunity to finally utilize them. When I first starting posting, I wrote about fears, successes, failures and personal stories. I thought it was a good foundation, but felt something was lacking. That something was design. I was honest with the reader. To some, it came off as a lack of passion or confidence, but to me, it was just the ups and downs of a designer trying to make it in the field. I grew from the personal stories to talking about my experiences with the larger goal of design concepts in mind. If I blogged about working with a local YMCA, I wrote about the evolution of their logo. If I read about the word of mouth that was the OBEY Giant graphic, I wrote about the evolution and controversy surrounding the logo. If I was looking for an online portfolio to upload my designs, I posted about which sites worked best (or worst) and why. I went beyond just me during the course of this blog and talked about the larger concept of designs and how they affect me. What’s The Plan? Next Steps? The next step in this blog is the actual design of it. With all of the blogs I have written on the subject of design, I realize that the proof should also be in the look. Choosing another designer’s template is almost like having someone ghostwrite my posts. It would not feel natural. As I grow as a graduate student, I hope to take my graphic design skills into web design and give this blog the look I feel it should have. This would also reflect on my Twitter page and YouTube channel for continuity purposes. 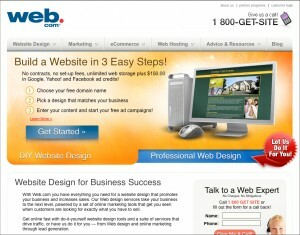 To learn web design and post about it would be a comprehensive learning experience in the future. In an earlier post, I mentioned how writing was a passion as a child. There are a lot of children that dream of playing a professional sport, but for the majority, that dream fades into adulthood. With the way technology and communication have changed, my passion for writing does not have to fade. A major accomplishment for me writing for something I am truly passionate about, even if I have the occasional writer’s block. If you took a look inside my room, you would find music/movie posters, sports memorabilia and a rather large collection of DVDs. I could much more easily blog about music or movies. The key is that I would never really learn anything, as those are not fields I strive to break into. I knew in graphic design this would not be the case. To attempt to post a compelling blog meant that I had to sometimes go outside of what I knew and tap into other resources. That made me learn. There was never any wasted motion in this process. 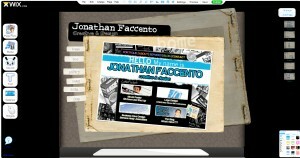 If I spent hours trying to create an online portfolio, I blogged about it. If I was inspired my metaphors in my writing, I also tapped into how they affect me in design. These were topics I can take with me well beyond this blog. From the start of the blog up to now, I feel Blogetery in Motion has a much greater sense of identity. It evolved from my personal ramblings to graphic design, life experiences and creative ideas (as mentioned in the blog subhead). The Blogroll on the upper left column has relevant links to my YouTube channel, a design website and a Photoshop tutorial site. Below that is also a link to my design portfolio. To make the blog a bit more official (and to prove that I actually design), this accelerated the need to also create an online portfolio to link up to, at least until I become an improved web designer. In my writing class, my professor said something that will really stay with me moving forward in my classes and career. I knew going in that blogging about design would not be the easiest topic for me. Design is subjective to many and sometimes too can have to segmented of an audience to appeal to universally. To choose anything other than it would have felt as though I was not only cheating the reader, but more importantly, myself. It would have been that missed opportunity. I have posted a lot about graphic design on this blog. You have read my words and perhaps heard my voice (on this video), but you have not really seen a lot of my work. I have alluded to some of the projects I have worked on, but trying to showcase them all is not easy, especially since I am not a web designer. However, as a graphic designer, I am very specific in how I want to show my work. For a while now, I have been looking into a customizable, online portfolio to show my work. Without knowledge of coding, HTML or CSS, finding reputable (and free) options are limited. Lesson learned. I just wanted to have a level of independence to showcase my own work and be taken seriously. I was initially hesitant to use coroflot.com. It seemed very bare bones without a lot of customization. 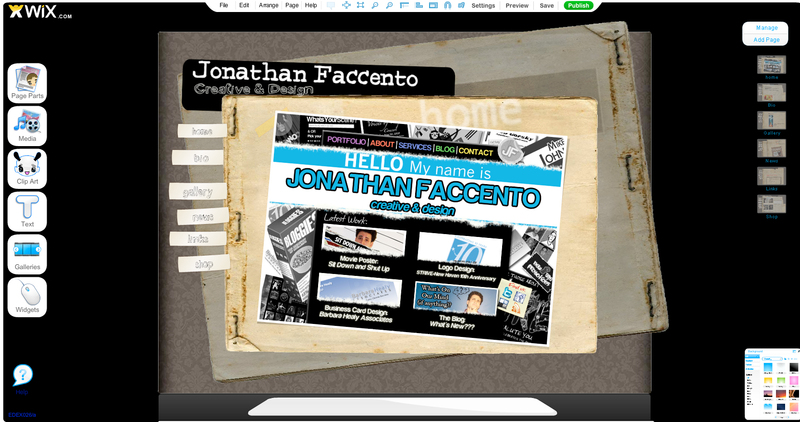 The more I thought about things, I realized that while web design is a goal for the future, I want to show my work now. I remember choosing Facebook years ago over Myspace. I did not want to deal with all of the add-ons and features that Myspace had. I wanted a clean and (at the time) simple interface that Facebook provided. With Coroflot, I didn’t have to be ashamed about my lack of coding skills to create my own personal and professional portfolio. The layout puts everyone in the same boat, while making your work speak for itself. While not overly flashy, Coroflot also allows you the option of placing a badge (similar to embedding a YouTube video or Facebook Fan Badge) to your own website (as seen below). It is not the end all of what I want to do. 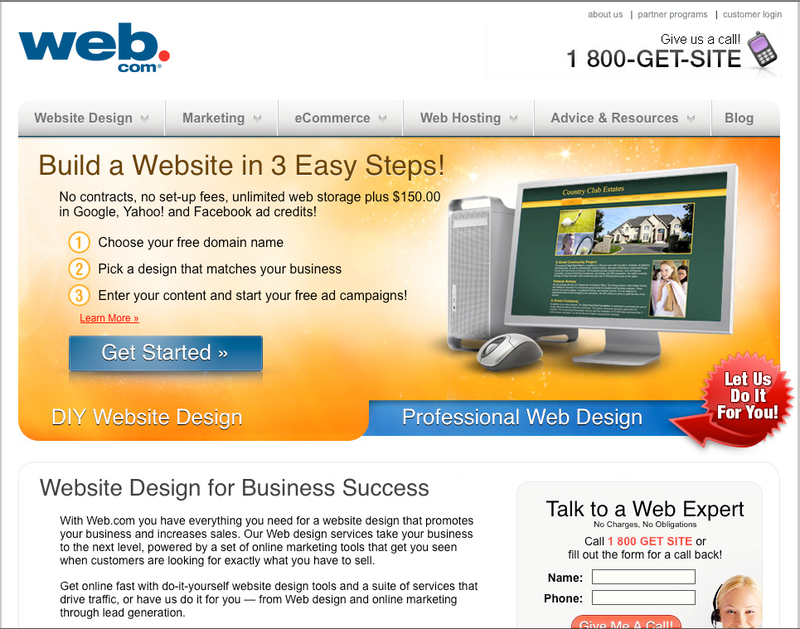 The goal (as I move forward in my graduate program and career) is learning the ins and outs of web design. In today’s job market, the lines between a graphic designer and web designer are blurred. A lot of jobs expect both out of one person. I always had dreams of launching a website to show all of my work and branding. Someday that will happen, but in the for now, its important to show the work you do have. In the meantime, my portfolio will have to do, at least until this website idea takes off.